Explore numerous villages, parks, great beaches, heading north, and the quaint coastal villages such as Manchester, Point Arena, Elk, Albion, and Little River. In Point Arena, look for the 115-foot-tall historic lighthouse. Napa, Sonoma, Mendocino scenic driving tour is a fabulous drive to sample the fine wines along the way–if you have a driver. 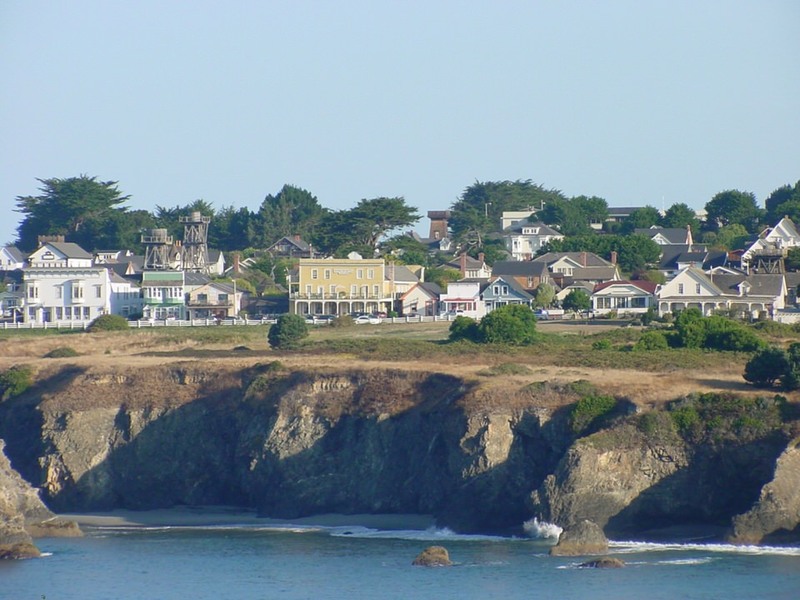 The charming village of Mendocino, a historic Cape Cod-style, bohemian enclave, known for it’s counter culture, revolutionary hippies in the 70’s, now has evolved into an artist colony full of interesting boutiques and art studios. Fine shops, first class galleries, great restaurants and snug inns abound in this renowned artists’ colony. 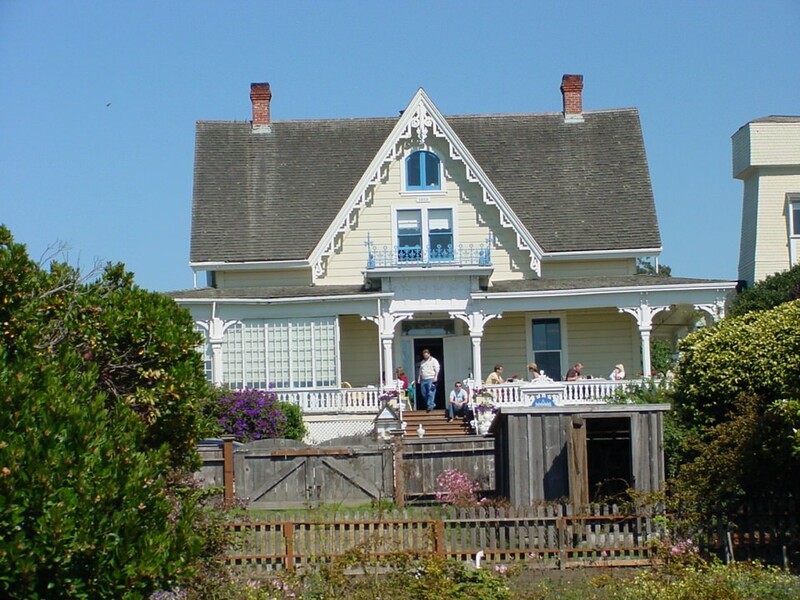 Mendocino vacation accommodations include some of the most renowned inns in California. 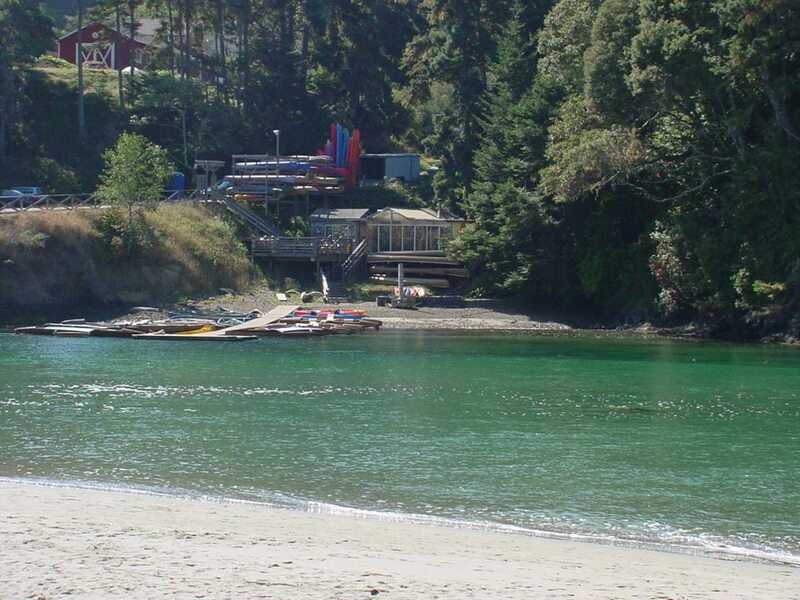 Mendocino has many wonderful inns —-like the romantic Brewery Gulch Inn, just south of the Big River, nestled in the woods overlooking Smugglers Cove, the Little River Inn, The Mac Callum House Inn. The Heritage House Inn is now open again. 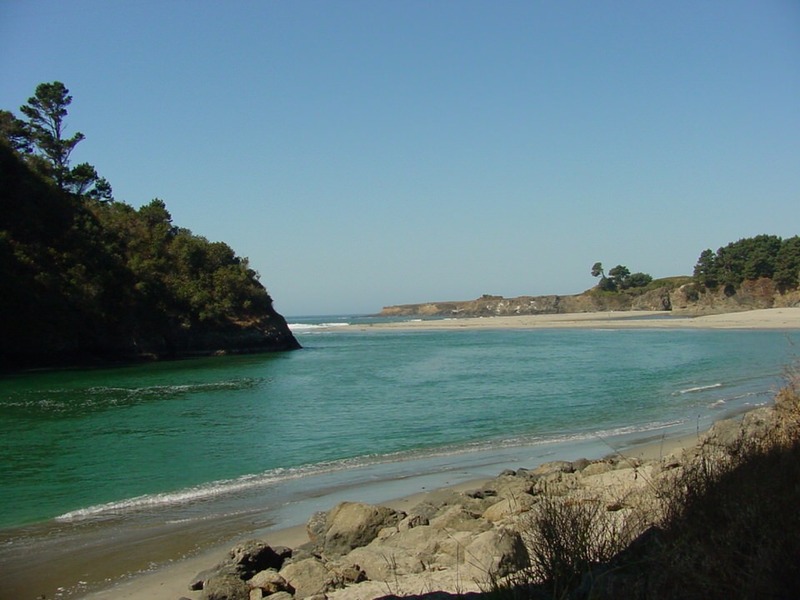 The Mendocino Coast, scenic Highway 1, also known as the Lost Coast, is considered one of the most beautiful, rugged, breathtaking shoreline excursions in the world!. Mendocino Village doubles as the New England town of “Cabot Cove” in the television show “Murder, She Wrote”. 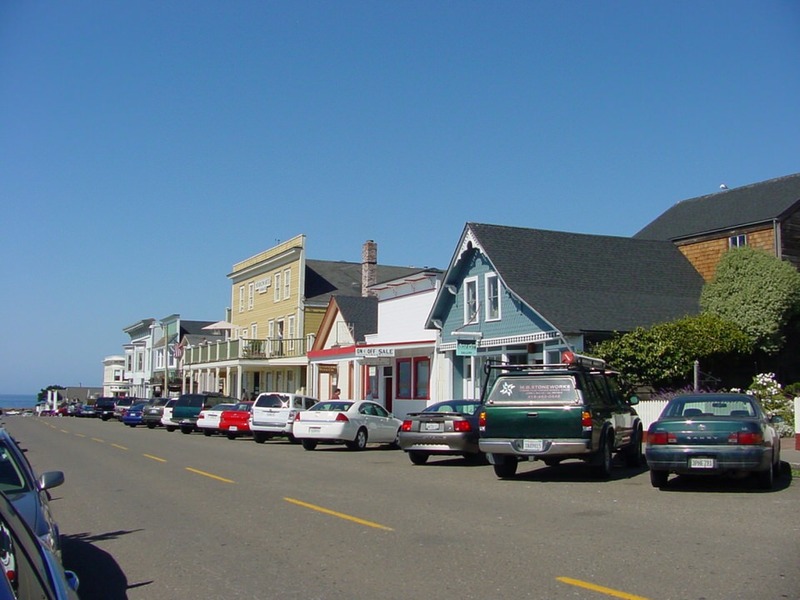 The village of Mendocino was built by New England whalers, turned loggers, is on the National Register of Historic Places. 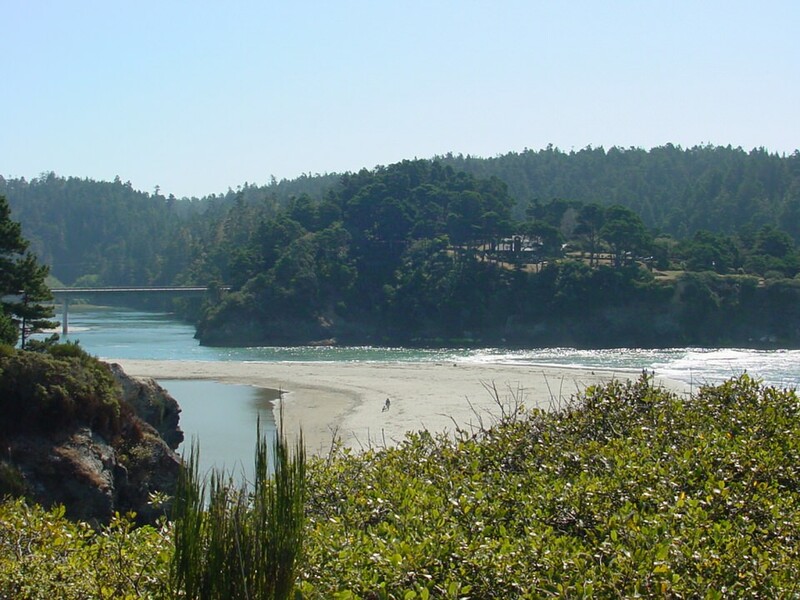 On your Mendocino vacation be sure to pick a bucket of the delicious wild blackberries that grow in front of the village of Mendocino, then stroll over to the bluff overlooking the emerald waters of Mendocino cove. 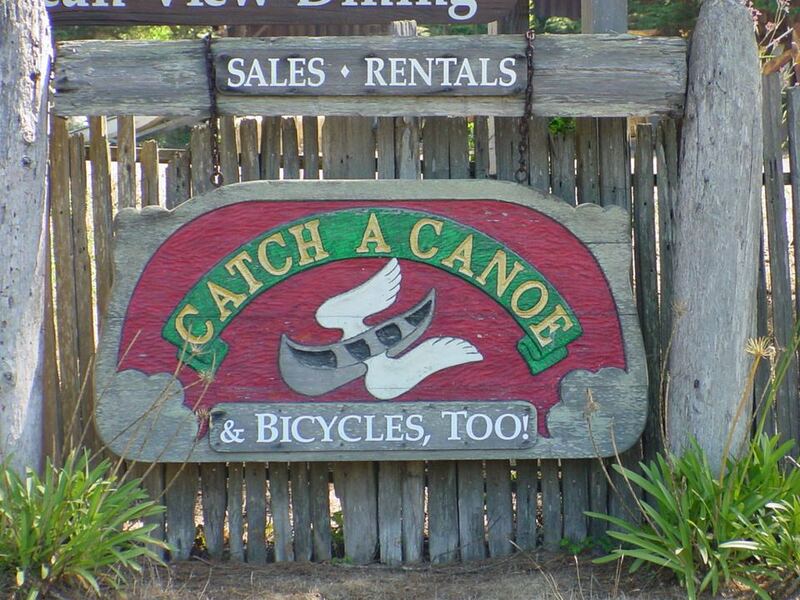 The Big River, the one that pours into Mendocino Cove, has a canoe rental, CatchaCanoe, that will let you experience miles and miles of the uninhabited river like Louis and Clark experienced. The wildlife and extraordinary beauty you’ll experience on this placid river will put you in a peaceful state of mind for days. North of the Village of Mendocino is Casper, a tiny hamlet, with a hot night club, the Casper Inn, where the locals, tourists and well known musicians hangout and party down. 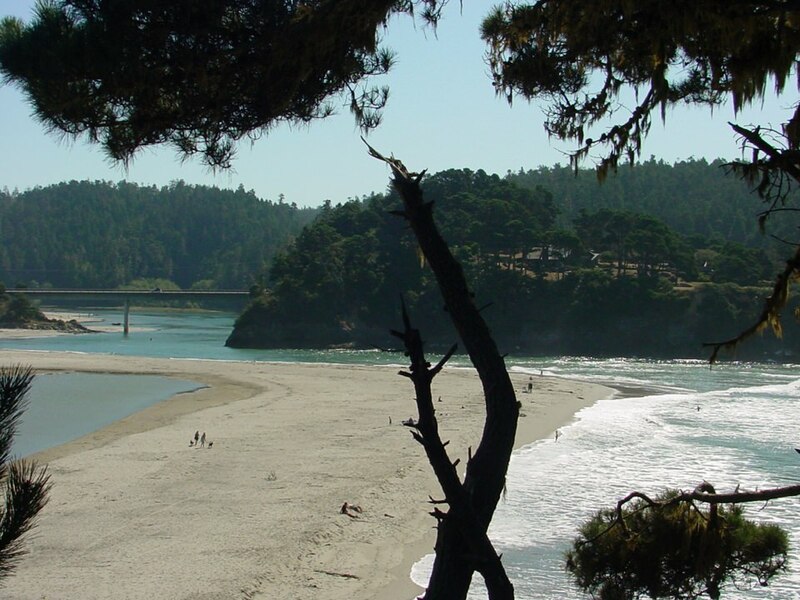 Don’t miss the Mendocino Coast Botanical Gardens on 47 acres overlooking the Pacific. At Noyo Harbor, charter a sport-fishing boat or catch a whale-watching cruise. From either Fort Bragg or Mendocino, stroll the headlands looking for seals. And, November through April, look for migrating California gray whales. 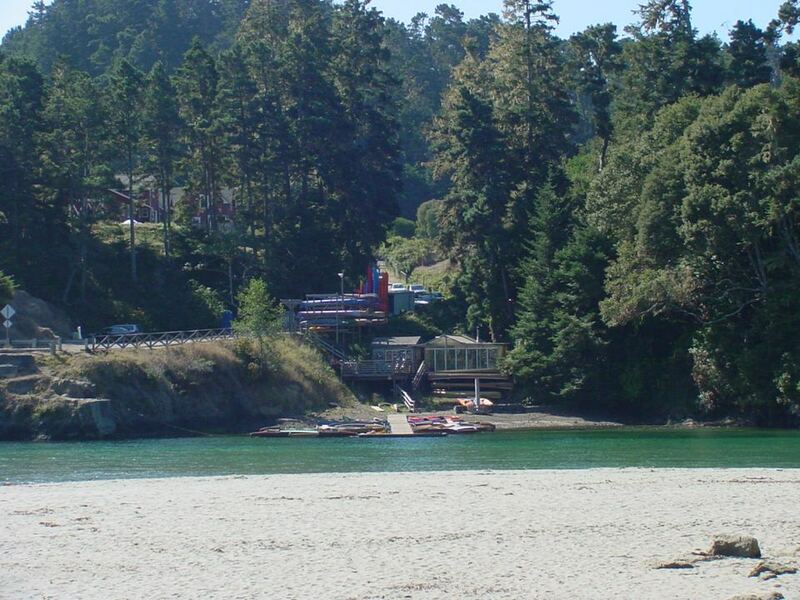 Heading North, board the Skunk Train in nearby Fort Bragg — named for an 1855 fort built to protect residents from hostile natives. Originally intended for logging, the train now carries passengers from this seaport through 40 miles of awe-inspiring scenery to inland Willits and back. 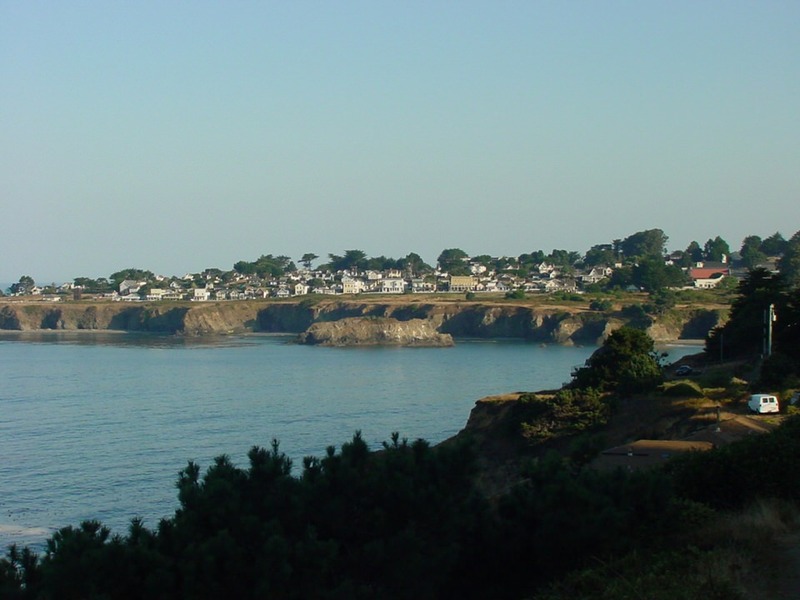 The Mendocino Coast is one of the best places in the world for abalone, a delicious mollusk prized by sport divers and rock pickers. Good Tip! 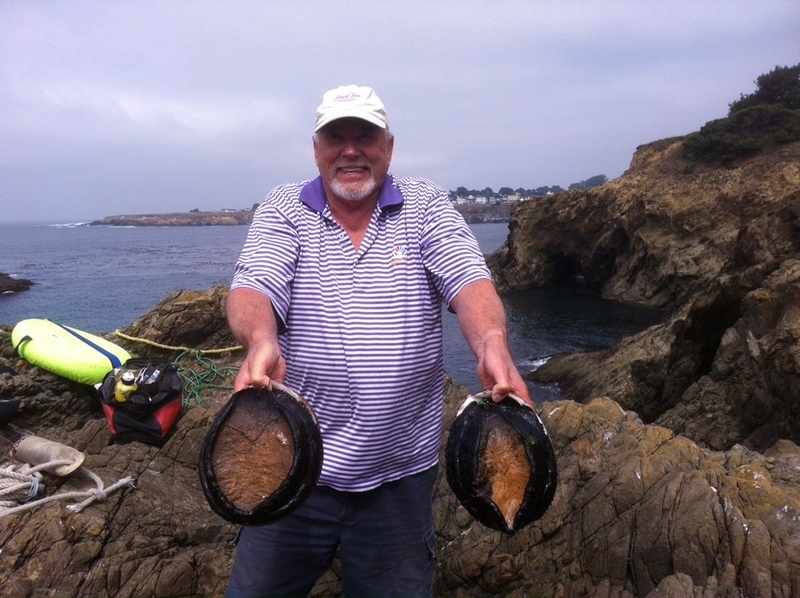 Do not violate California Fish and Game laws, please click here to read the regulations: The daily limit is three red abalone, the annual limit is 18 with a seven inch minimum diameter. The season is April 1st until June 30th; closed in July, Opens again August 1st. until November 30th.